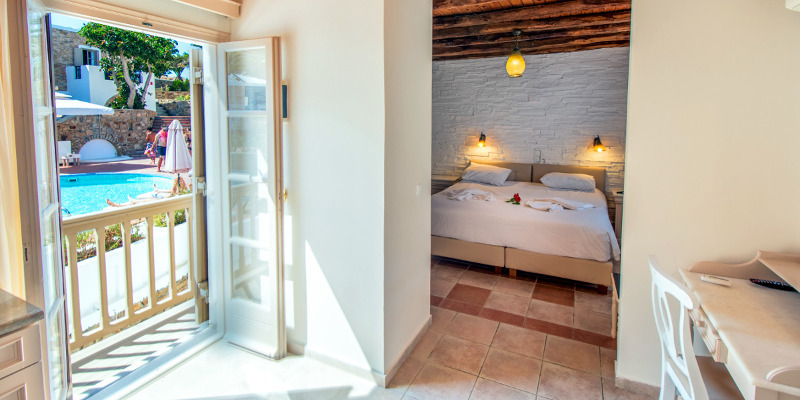 A spacious room with 1 double bed or 2 single beds ( featuring stunning views of Naxos Town, the sandy expanse of Stelida Beach and the Temple of Apollo (Portara). 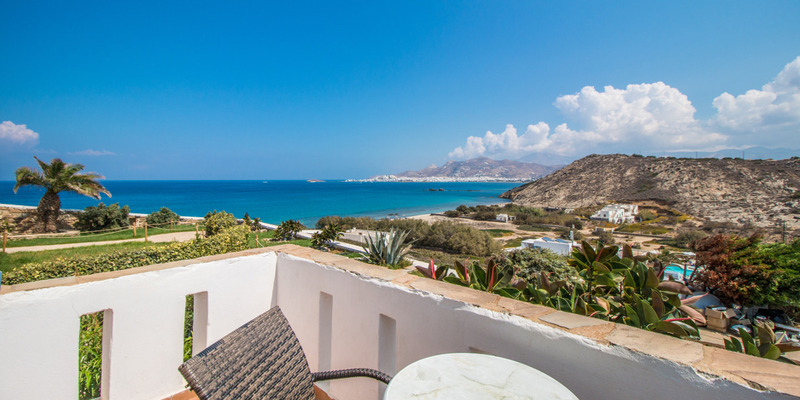 The choice for a more exceptional stay in Naxos. 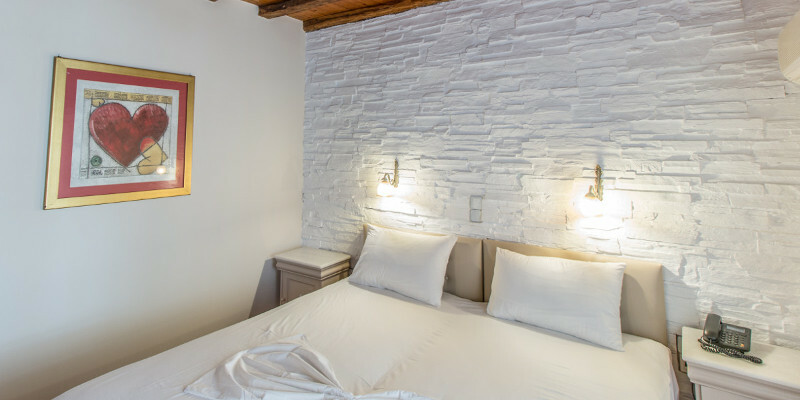 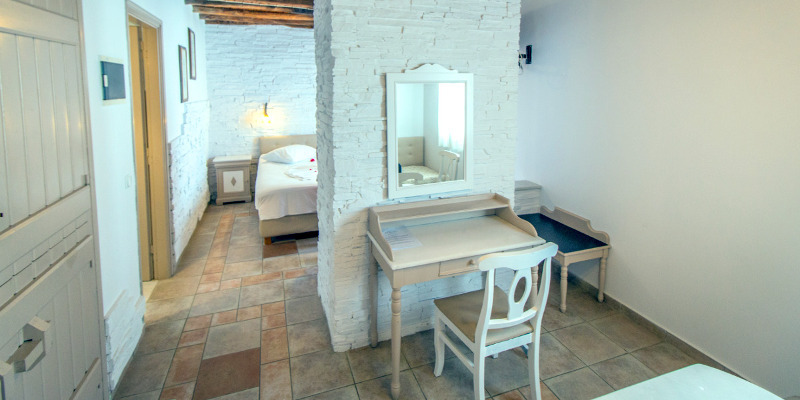 All rooms have a fully equipped kitchen with kettle, fridge, utensils and cooking facilities, ensuite bathroom with shower, air-conditioning, TV and private balcony or terrace with table and chairs.